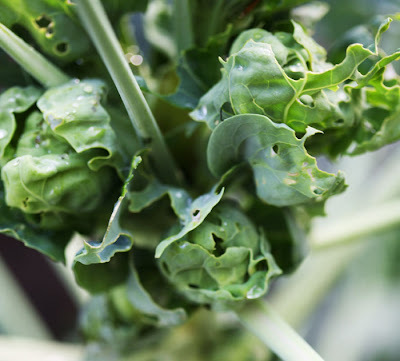 Plant Avenue: Are Brussel Sprouts Safe To Eat After A Cabbage Worm Infestation? Are Brussel Sprouts Safe To Eat After A Cabbage Worm Infestation? Supposedly. 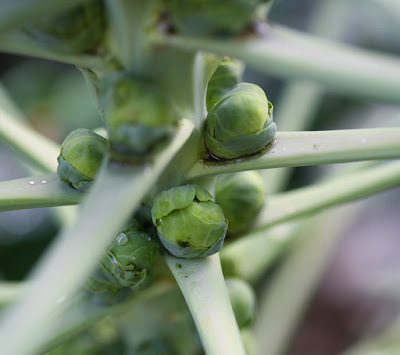 If you thoroughly examine and wash them, Brussel Sprouts are safe to eat even if the plant has been ravaged by cabbage worms. That's what they say, anyway. I think I'll pass. Call me paranoid, but after reading articles such as this about parasitic infections, I'm a little leery of eating something from a plant that I know has been infested. What a shame! I love Brussel Sprouts. I was looking forward to having them fresh and organic from my garden, instead of the ordinary store bought kind. As you can see from the first picture in this post, they're growing nicely too! Not so much in the second picture, where you can see some worm damage. Maybe if you put them in your compost pile, you can content yourself with the fact that you are still using them for something beneficial. Good thing to keep in mind as I plan on planting some of these little brussel babies next year. Thanks! After reading the article you linked to I am suddenly feeling extremely paranoid about everything I put in my mouth. That is frightening!